SCOPE Art Fair will be moving from Midtown to Miami Beach this winter. The 70,000 sq. ft. pavilion will feature an outdoor beach lounge and stunning views of the ocean, nestled amongst the iconic architecture of Ocean Drive at 10th Street. 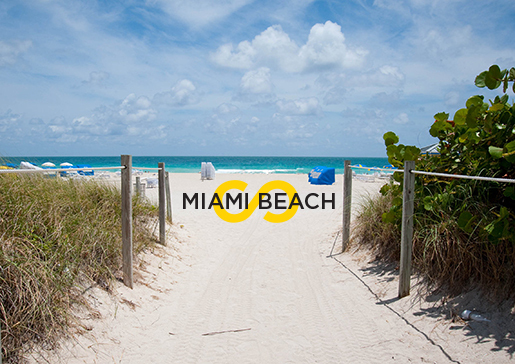 Working closely with the City of Miami Beach, SCOPE will contribute the cultural landscape with an extraordinary presentation of emerging contemporary art. They will be welcoming 100 International Exhibitors and 15 Breeder Program galleries, SCOPE will also feature a wide range of curated projects, sponsor programs and Platinum VIP tours. SCOPE opens on Tuesday, December 3, to welcome VIPs at its First View benefit, and will run December 4 – 8, 2013.